Ted Bundy beat four women, killing two, and attacked another down the street. In January 1978, the Florida State University campus in Tallahassee was pretty safe and secure, according to Ray Crew, a member of the university's police department at the time. "It was not unusual to, at 3:00 in the morning, to see people walking back and forth across campus 'cause they felt safe," he told ABC News. 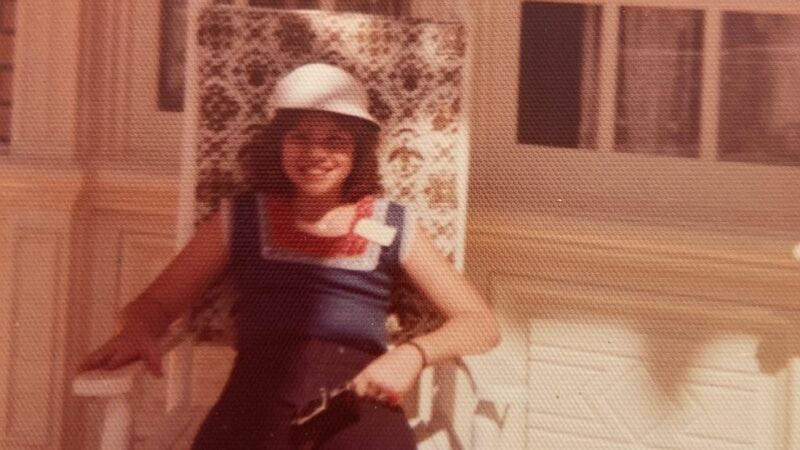 Kathy Kleiner was a member of Chi Omega and living in the sorority's house in 1978. She said her parents felt that her living at the sorority house was "much safer" than living in the university’s dormitories. "Being in Chi Omega was a wonderful part of my life. ... It would be like having 40 sisters," said Karen Chandler, Kleiner’s roommate. (ABC News) Karen Chandler was living in the Chi Omega house the night Ted Bundy attacked four women in Tallahassee, Florida. She said the attack left nearly every bone in her face broken. Across the U.S., however, authorities -- and residents -- were grappling with the unimaginable news that convicted kidnapper and suspected killer Ted Bundy had escaped from a Colorado jail in December 1977. Bundy had been charged with the murder of Caryn Campbell in Colorado when he crawled through a hole in the ceiling of his cell and escaped. It was his second escape -- previously, he'd jumped from a courthouse second-story window and been on the lam for four days in June 1977. This time though, Bundy got a lot further, eventually ending up in northern Florida. "He took a flight to Chicago, took an Amtrak train to Ann Arbor (Michigan) ... drove south to Atlanta ... (and) hopped a Trailways bus to Tallahassee," said Kevin Sullivan, author of "The Bundy Murders: A Comprehensive History." Sullivan told ABC News that after Bundy disappeared, "Detectives said, 'He's going to kill again. It's just a matter of time. We don't know where or when but he will kill again.'" In the early morning hours of Jan. 15, 1978, sometime between 3 a.m. and 3:15 a.m., an intruder -- later identified as Bundy -- broke into the Chi Omega house, carrying some sort of wooden club. Crew was on routine patrol that morning with his partner. They were two blocks from the sorority house when a call came over the radio, he said, so the officers drove over. (ABC News) Cheryl Thomas was attacked in her home, blocks from the Chi Omega sorority house. A neighbor called 911 after hearing pounding and Thomas? whimpering. "As I stepped in (the house,) the girls were yelling: 'Upstairs. Upstairs.' And, there was a lot of crying. ... At the top of the stairs was a girl named Karen Chandler and she was down on the floor and she was bleeding quite badly from head injuries," he said. Chandler told ABC News that "pretty much" every bone in her face had been broken. She also had a broken arm. "I asked her (Chandler), you know, what had happened. She said there was a loud banging noise was what she said she'd heard. ... She made mention about her roommate Kathy Kleiner," Crew said. When he entered Chandler's bedroom, he found Kleiner. "Her jaw was actually hanging off one side," he said. "It was only, only one hinge was still attached. 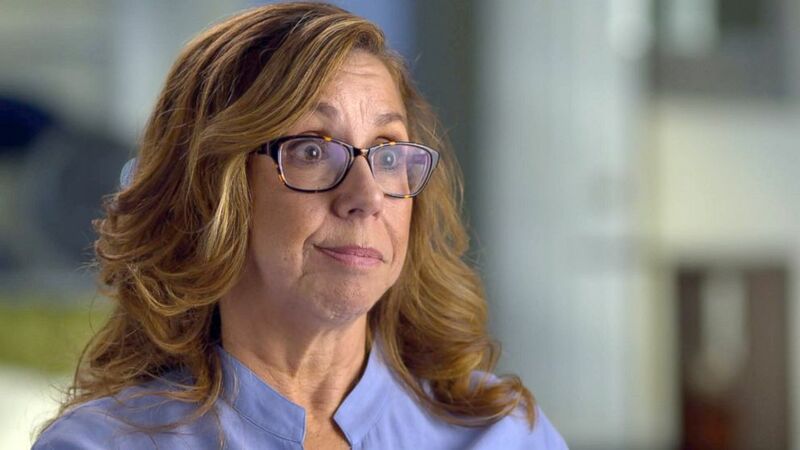 ... She was totally incoherent and in shock." Kleiner said she remembered lying on her bed and trying to talk, to say anything or just scream, but she couldn't. "My jaw was broken in three places," she told ABC News. The two women had been brutally beaten by Bundy before he'd fled. Chandler and Kleiner had not been Bundy's only victims in the Chi Omega house. He'd beaten and strangled Margaret Bowman and Lisa Levy to death. And there was a bite mark on Levy. "I knocked on the door for Margaret Bowman's room and didn't get a response," Crew said. "I opened the door and there was a huge spray of blood up the wall. ... I shut the door so the other girls wouldn't see." 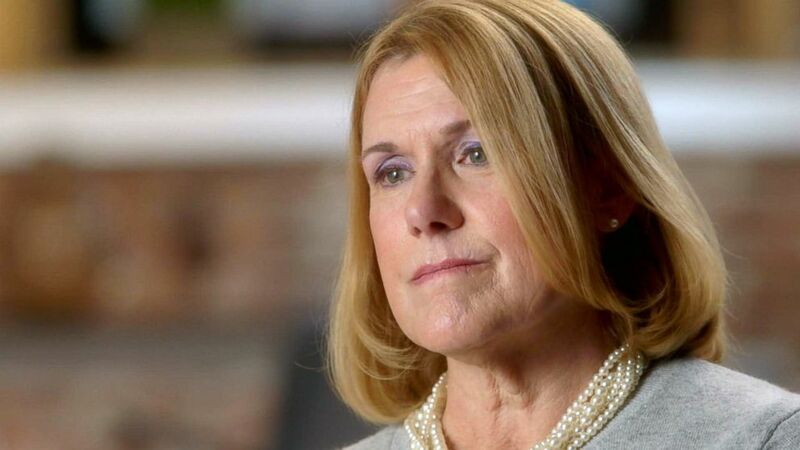 After the attack, Sullivan said, Bundy traveled four or five blocks away to a house on Dunwoody Street, where Cheryl Thomas, a Florida State University dance major, was asleep. 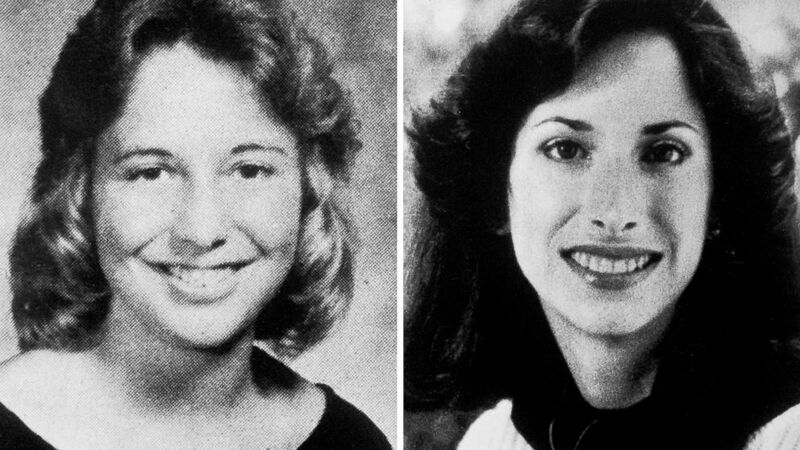 (Bettmann via Getty Images) Chi Omega Sorority members Lisa Levy, 20, and Margaret Bowman, 21, were killed by Ted Bundy at Florida State University, Jan. 15, 1978. Debbie Ciccarelli lived on one side of the house that Bundy next entered, and Thomas lived on the other. "I woke up to this loud pounding. ... It was just a real loud banging sound. ... We could hear Cheryl moaning, whimpering. I called Cheryl. We could hear the phone ringing because the wall was so thin but she wasn't answering her phone," Ciccarelli said. Ciccarelli called the police and when officers arrived, they found Thomas on the floor, bloody and beaten. Thomas told ABC News that she learned Bundy had crawled through the window in her kitchen, which was beside her bedroom. "He had worn a hose over his face that had eye holes cut in and a knot tied at the top," she said, referring to pantyhose. "He pulled that off and that was dropped on my floor. If I did not have my neighbors right next door to hear something. ... I don't think I would have survived. It was that close." Thomas said that a few days later, she woke up in a hospital with her parents nearby. She said she had no idea what had happened to her. "They (police) really wanted me to be able to identify who had attacked me because it would [have] helped them out tremendously. So I felt very bad about not being able to remember," she said. Chandler, who was hospitalized in an intensive care unit, said she could remember "flashes of things." Kleiner said her mother had told her that two of her sorority sisters had been killed in the attack. "My reaction was, 'Unh-uh.' You know, like, 'That's not right. Th-- that didn't happen. You know, that-- that just didn't happen. They're fine,'" she said. "It wasn't fair. ... They were both beautiful, wonderful people and I was mad. I was mad that this person was allowed to come in and hurt us." 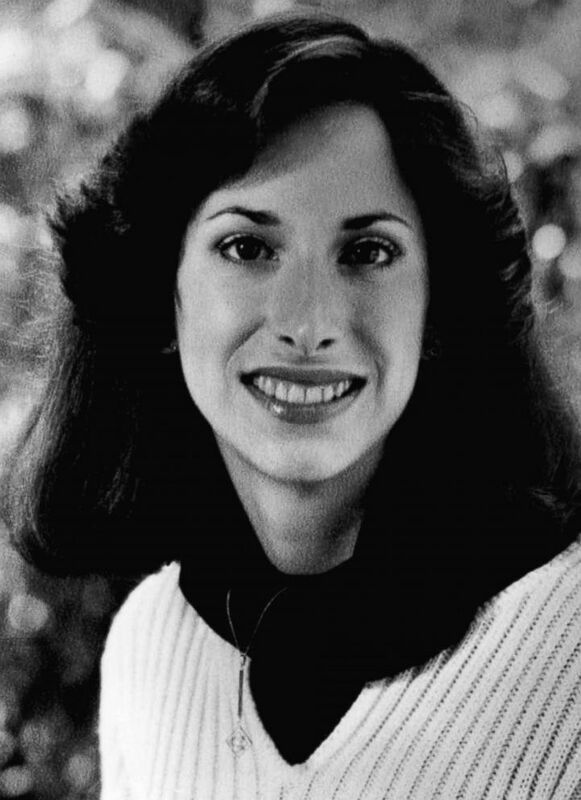 (ABC News) Kathy Kleiner was a member of Chi Omega and living in the sorority's house in Tallahassee, Florida, when Ted Bundy entered the house on Jan. 15, 1978. He attacked Kleiner and three others, killing two women. "There's no reasoning. ... I was asleep in my room. ... I was safe. ... I was sound. I was asleep and yet evil opens a door and attacked me," Kleiner said. Former Leon County Sheriff Ken Katsaris, who helped investigate the Tallahassee murders, said he'd spoken to authorities out West who'd given him Bundy's name. "Obviously, I didn't think that was possible. ... The MO of abduction in a car didn't fit," Katsaris told ABC News, using shorthand for modus operandi, or method of doing something. "The MO of potentially abducting some person and taking them somewhere, perhaps in the woods, (and) murdering them, that didn't fit," he said. "What we had was fresh murder in a house. So I was somewhat dismissive." Sullivan, author of "The Bundy Murders," said the attacks in Florida did not match "the Bundy of the Northwest." "If you were to hear of this attack and you were familiar with Bundy's crimes in Utah [and] Colorado, you wouldn't think it was the same person because it was a frenzy," he said. About three weeks after the Chi Omega murders, Bundy abducted 12-year-old Kimberly Leach outside her junior high school in Lake City, Florida. Bundy murdered the young girl and left her body near Suwannee State Park. Kimberly is believed to have been his last victim. In February 1978, Bundy was apprehended by chance when a Pensacola police officer noticed a suspicious car loitering late at night. Bundy pretended he was someone else and showed the officer a stolen driver's license. The car had stolen plates and Bundy was in possession of stolen credit cards. (Lisa Little, Ruby Bedenbaugh and Sheri McKinley) Kimberly Dianne Leach was 12 when she was abducted and murdered by Ted Bundy in 1978. After two days in custody, Bundy finally revealed his true identity. Detectives started to wonder whether Bundy was connected to the vicious attack at the Chi Omega sorority house that had left Bowman and Levy dead and two sorority sisters badly injured. After his arrest, reporters learned that Bundy -- one of the FBI's 10 Most Wanted and sought for questioning in more than 30 murders -- had lived at the Oaks, a rooming house just a few blocks from the Chi Omega house. Nita Neary, a member of Chi Omega who was returning to the sorority house the night of the attacks, also had reported seeing a man come down the stairs and exit the front door. Bundy was charged in an indictment with two counts of first-degree murder and three counts of attempted murder. 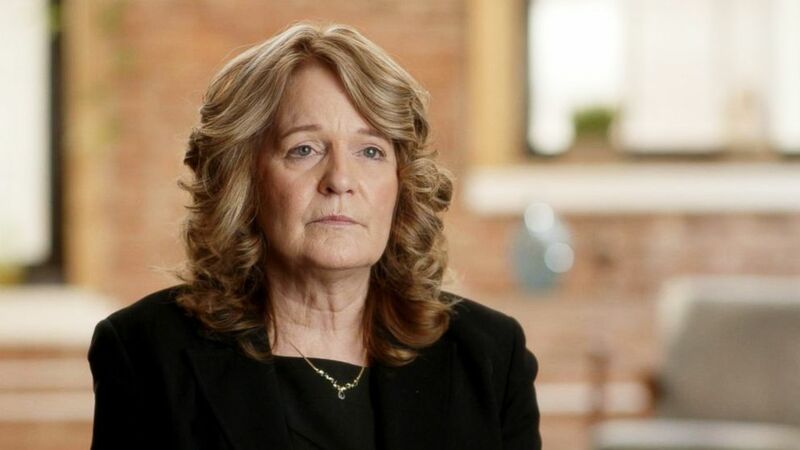 During the trial, prosecutors presented eyewitness testimony and said that Bundy’s hair matched fibers found in a pantyhose mask and that a bite mark left on Levy could only have been made by Bundy. Prosecutor Larry Simpson told ABC News: "I think the bite mark, itself, is indicative of the primal rage that Mr. Bundy must've been in at the time that he committed those murders. It was just a total homicidal rage." (AP) Florida State University student Margaret Bowman, one of Ted Bundy's murder victims, is shown in an undated photo. "I thought a lot about the parents of the girls that were killed during the prosecution of this case. It's one of the things that kept me going," he said. On July 24, 1979, Bundy was convicted and sentenced to death for the murders of Bowman and Levy and the attempted murders of Chandler, Kleiner and Thomas. Then, in January 1980 in Orlando, Bundy stood trial for the kidnapping and murder of Kimberly Leach. The evidence against Bundy in the Leach case ranged from eyewitness testimony and fibers to hotel receipts from Lake City, according to the prosecutor in that case, Bob Dekle. Bundy was convicted and again sentenced to death. On Jan. 24, 1989, Bundy was executed in the electric chair at Florida State Prison for Kimberly Leach's murder. Days before his execution, Bundy confessed on tape to authorities to 30 murders in California, Oregon, Washington, Idaho, Utah, Colorado and Florida between 1973 and 1978. Authorities, however, suspect he may have killed many more -- as many as 100. 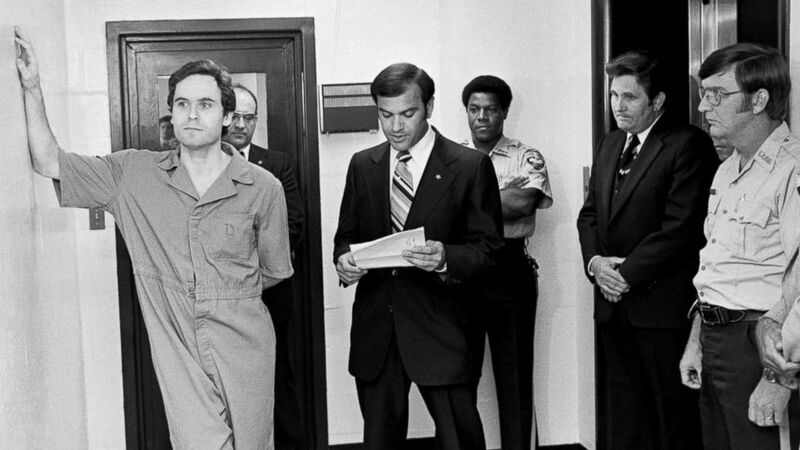 (Bettmann Archive/Getty Images) Suspected murderer Ted Bundy leans on the Leon County jail wall as an indictment charging him with the murders of two FSU coeds at the Chi Omega house is read by Leon County Sherriff Ken Katarsis in Tallahassee, Fla., July 27, 1978. Kleiner recalled her feelings immediately after the execution. "I remember sitting on the sofa with my fiance and crying, and wailing, and crying, and feeling that Lisa and Margaret were finally at peace," she said. Thomas told ABC News that "being a rare survivor of Ted Bundy, it makes me feel like I have to represent those women who did not survive. And I hope that I always can do that, because I don't want 'em forgotten." Chandler said of Bowman and Levy, "All you can do is just celebrate that they were there and that you knew them and they will always be in our memories."